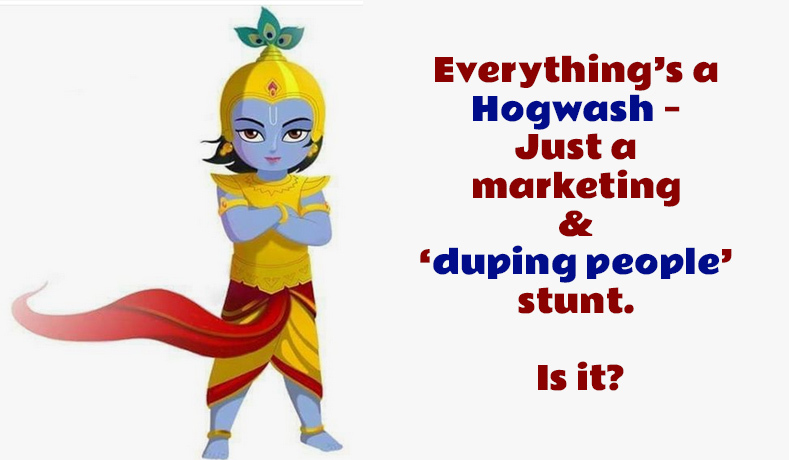 Everything’s a Hogwash – Just a marketing & ‘duping people’ stunt. Is it? Often I hear people talk about things – especially about Gods and religion – saying that everything is just an illusion – nothing ever happened – all stories like Ramayana and the Mahabharata – were written by learned scholars/ authors and then it was marketed by the rulers & ministers to keep their subjects under some kind of threat & fear of punishment for sinning & wrongdoings – leading them to hell etc. So the naive subjects accepted all that was told to them – all supposedly fictional stories (according to intelligent atheists) and they started to worship fictional characters that were basically figments of imagination of wise and learned men. 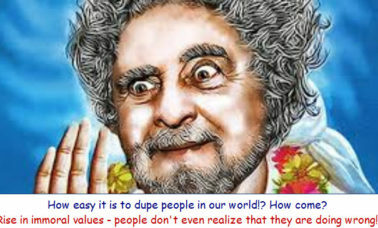 Therefore we are to understand that Valmiki and Ved Vyas were intelligent authors who knew the art of duping people well – without letting them understand that they were actually being duped – and then super sharp marketing professionals were hired to market the idea of God and sell concepts of divinity and hell! The marketing strategies that existed some 9000 years ago was much more advanced that what we have today…wouldn’t you agree? With so many technological advancements in this world – Internet connection and satellites…still people are worshipping the fictional characters written by learned scholars!Strange – we, the people are so very dull…in spite of so much education and collection of information….we not only believe but also worship those fictional characters! Does it mean that 9000 years later, we will be worshipping fictional characters of sought after & popular Film Directors/ writers? Will we worship Superman and Spiderman, Mandrake or Power Puff girls? 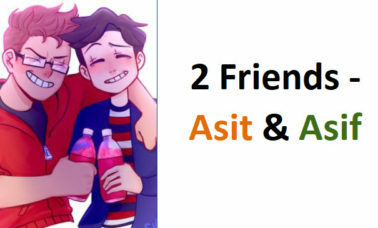 Maybe Jay and Veeru Devta and Devi Basanti? Because if super intelligent atheists think that if something constantly hits the dull brains of commoners, they tend to think of it as a reality! So with TV, Films, Advts.,internet, mms, sms and chat media – the marketing professionals (definitely more empowered than what we had in last so many centuries) should be able to successfully launch a brand new set of Gods for the dull commoners….what say you huh? So why are we still sticking to the same old Gods like Shri Rama and Shri Krishna who existed (in epics only) some 6k to 9k years ago?! And mind you – I have just stated 2 names in this article – there are several other learned scholars and die hard devotees of the same non existent God like Markandya, Saptarishis…list is unending if I start!! So what do the super intelligent atheists have to say about them and of our respect and admiration for them? That we are just wasting out time collecting garbage throughout eons of human existence – because majority of the common mass is living hand to mouth and need to be given some mumbo-jumbo to keep under control!? And those who are in power and position and have lots of money are living life king size – boozing, womanising & dying! Commoner worship Gods and adhere to moral values till the time they are poor. The moment they start having money, they gradually begin to give up morality and later even loath moral values…because it made them miss out on the lovely rich lifestyle …like that of Page3 people! Disclaimer: No, I am not suggesting that ALL rich and affluent people are dumb and wasteful boozers and womanizers..but unfortunately, there are MANY like this…many in number!